For 240 years, the United States has been celebrating its declaration of independence, and for over 25 years, Liberty Fireworks has been selling fireworks to commemorate the celebration. In 1990, Kristi Brewer-Campbell and her sister-in-law, Samantha, began Liberty Fireworks in an effort to provide the local community with fireworks and to create a unique experience for celebrating the Fourth of July. That experience is the Liberty Fireworks Bash. This year, the bash will take place on Saturday, June 25 from 2-10 p.m. at their stand in Nicoma Park, located at 10525 NE 23rd Street. The bash is jam-packed with activities and attractions. The event, which is free of charge, will include rides and inflatables, an old-fashioned carnival with games and prizes, live music and entertainment, food trucks, shopping vendors and a jeep and truck show. This is the first year for the Liberty Fireworks Jeep Show and Truck Event. Operating as part of the Liberty Fireworks Bash, the event will begin at 1 p.m. and will run until 5 p.m. Awards for the show will be given out on stage at the close of the show. All proceeds from the Jeep Show and Truck Event will go to honor and promote the Midwest City Police Explorers Post 624 and the Special Olympics. Attendees are encouraged to come early to take advantage of the goodie bags for the first 100 participants. Liberty is also giving away raffle prizes during the event. The day’s festivities will conclude with a fireworks show, which will begin at dark. In addition to their Nicoma Park location, Liberty Fireworks also has a stand in Harrah, located at 18001 NE 23rd Street. They also offer a “buy here, pop here” policy, meaning that if you purchase fireworks from the stand, you can pop the fireworks on their land. With 70 acres of space, there’s plenty of room for each family to enjoy their own firework fun. 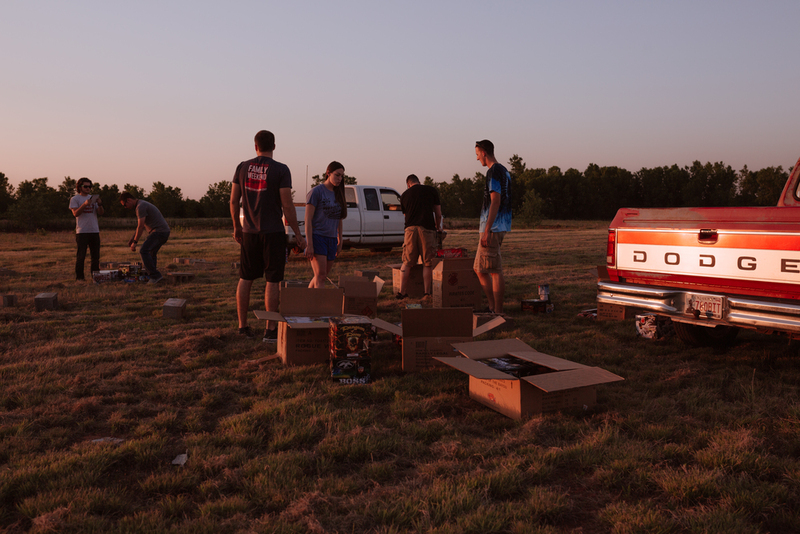 For more information about Liberty Fireworks or the Liberty Fireworks Bash, visit www.libertyfireworksok.com or email Kristi@LibertyFireworksOK.com or Samantha@LibertyFireworksOK.com.